Keeping healthy is something we all need to think about and take personal responsibility for. Many people assume that poor health is an inevitable part of getting older and even use this as an excuse to lead an unhealthy lifestyle, but there are plenty of small steps you can take to improve your health and to help you on your way to a longer, happier and more independent life. Hampshire Connect to Support is an online directory of wellbeing advice, services and activities. If you want to quit smoking or reduce your alcohol consumption there is help and useful information available. If you really want to stop smoking, the evidence shows smokers who attend Quit4Life sessions are up to four times more likely to succeed than those who try to quit by willpower alone. You can contact Hampshire's Quit4Life NHS Stop Smoking Service by calling 0845 602 4663, texting QUIT to 60123 or by referral from a GP or any health professional. Sessions are free, open to everyone and are run by professional smoking cessation advisers, who can give out free stop smoking medication. There is a strong link between our mind and our body and how you feel can be affected by the lifestyle choices you make. And if you do have a mental health issue, your mental wellbeing may be improved by implementing small changes to your lifestyle. The following website: http://www.southernhealth.nhs.uk/health-and-wellbeing/ has extensive information on how to maintain a healthy lifestyle and how to access mental health services. Stress is the way you feel when you are under too much pressure and it can cause illness, physical and emotional problems. NHS Hampshire recommends trying to identify the underlying causes of the stress and seeing if you can make changes to reduce it. Talking things through with family and friends can help, as can relaxation and physical activity. Don’t be afraid to seek professional help if you feel you need to. Remember that your GP can offer advice and support. If you’re not registered with a doctor or would like to change your GP, you can find out more about GP surgeries in your area, the services they offer and opening times by calling 01962 853361 or visiting www.nhs.uk. Just as we can take steps to make sure our bodies stay fit and healthy, we can also take steps to look after our mental and emotional wellbeing. Mental and emotional health issues are part of our everyday lives and can affect us as much as problems with our physical health. One in four people have a mental health issue at some time in their life and stress is now cited as one of the biggest causes of sickness absence from work. CONNECT - with the people around you. BE ACTIVE - go for a walk, dance, run, step outside, anything that makes you feel good. TAKE NOTICE - take notice, be curious, be aware of the world around you. KEEP LEARNING - try something new, set challenges and enjoy achievements. GIVE - do something for someone, volunteer your time, look out as well as in. Taking care of yourself by eating healthily and being active can easily drop to the bottom of your priority list when work, family and social commitments are on your mind, but just a few small changes to your lifestyle can make all the difference. The Change4Life campaign provides a host of useful information on ways in which you can improve your own health and the health of your family. Taking half an hour to play with the kids is a free, fun way of being active. Dig out the frisbee, ball or skipping rope and head off to your local park or open space to have a laugh – you’ll feel great! Please visit: Change4Life to get inspired! For other simple ideas on how to keep active please download the Get Moving Get Active brochure below or contact the council on 01256 844844 to request your copy. You don't need expensive equipment or to join a gym or sports club to keep physically active. Trainers or comfortable walking shoes are all you need for enjoying brisk walks. Why not join one of the free Health Walks which are available as part of the accredited Walking the Way to Health scheme? They are suitable for all abilities, led by an experienced walk leader, cater for beginners to regular walkers and are a great way of meeting new people and enjoying your local area. If you fancy cycling, find the best routes with the Basingstoke Cycle Network Map. The map shows existing and proposed cycle routes across the town, including local cycle parking locations. Download the cycle routes map below or call 01256 845772 for a copy. Advice on commuting initiatives is available from the Hampshire County Council website . Other organisations, such as Sustrans and Living Streets, offer advice and information on the benefits and opportunities for walking and cycling. 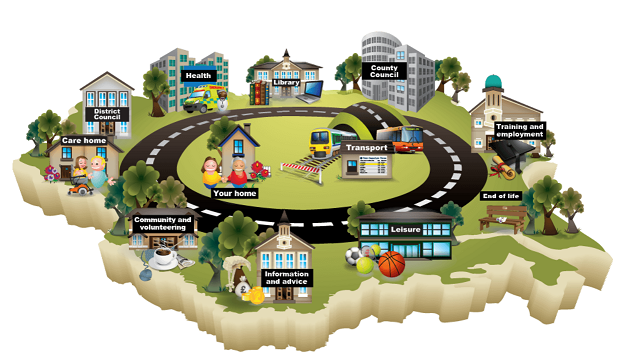 Hampshire County Council also has information on the benefits of walking (and cycling) to school as well as practical guidance on school travel plans and other connected information or call 01962 857 454. Free school meals are available to children whose parents or guardians are in receipt of one or more of the benefits listed at: Free School Meals. You can also check eligibility directly from this link.